So, are you bored of using that old Facebook with that blue/white color and want change then here i have got something for you. By using this feature you can change the Facebook Theme Color completely in whatever color you want the Facebook to configure. So, without going off topic let’s start how to change Facebook theme color. Follow these simple steps below in order to change your Facebook theme completely. 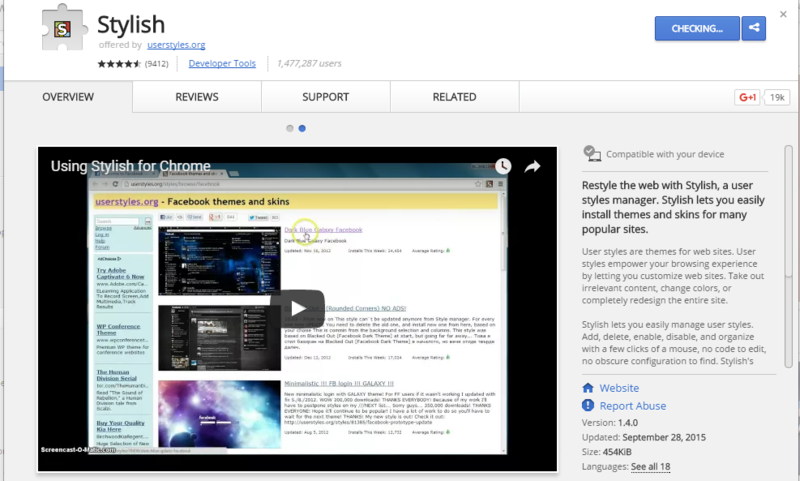 STEP 1 :-Install Stylish for Chrome from the Chrome Web Store. It will take hardly a minute to get installed in your Chrome browser. STEP 2 :- Now open facebook.com in chrome and click on the ‘S’ button which represents the ‘Stylish’ plugin. it will probably be in the top right corner. Click on the Find stylish theme option to browse all the attractive and free themes from stylish. STEP 3 :- Click on the install button on the top right corner of the previewed theme, after the installation of theme a pop up will appear on your screen showing the success message. STEP 4:- That is all you need to do. Now, whenever you will open facebook.com on your browser you will see the chosen one theme instead of the regular one.